Aug. 29, 2018 - Graphic Packaging Holding Company today announced that Paul McCann will join the company as Senior Vice President, Supply Chain. McCann will have responsibility for procurement, logistics, operations planning, global quality processes and for building Lean and Six Sigma capability. He will also lead the supply chain integration of the newly combined Foodservice and SBS businesses. 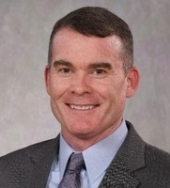 McCann joins Graphic Packaging from Monsanto Corporation, where he has been responsible for global manufacturing and supply chain. Prior to that, he held positions with Smurfit-Stone Container as Vice President Strategic Sourcing, Vice President and General Manager Asia, and Vice President and General Manager Fiber. McCann has also worked for Solo Cup Company as Vice President Global Procurement. "Paul's global supply chain expertise and strong leadership background make him extremely well-qualified to lead our supply chain team as they deliver on their priorities and complete the integration of the Foodservice and SBS businesses," said President and CEO Michael Doss. Graphic Packaging Holding Company, headquartered in Atlanta, Georgia, is a leading provider of packaging solutions for a wide variety of products to food, beverage and other consumer products companies. The company is one of the largest producers of folding cartons and holds a leading market position in coated-unbleached kraft and coated-recycled board. To learn more about Graphic Packaging, please visit: www.graphicpkg.com.